Jonathan Bailin, Ph.D., & Dr. Gary Polan, O.D. 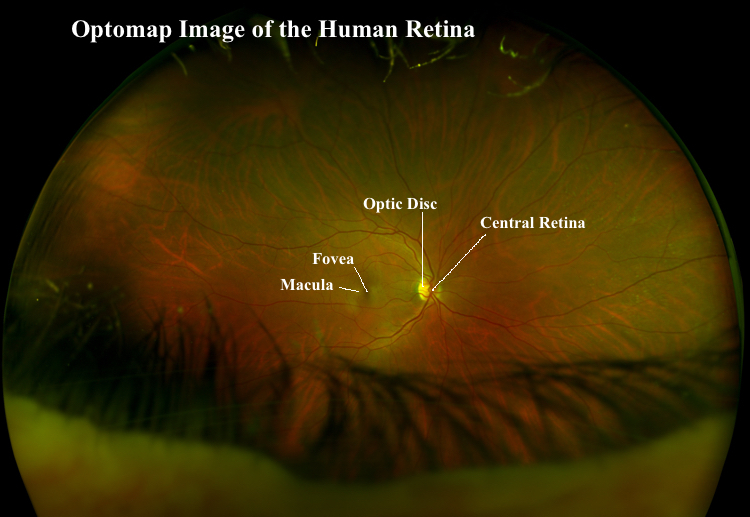 After his regular Dynamic Visual Acuity examination in late 2015, Dr. Polan sat down with his Biomechanist patient, and co-author, to review his digital retinal image taken on an ultra-widefield Optomap scanner. Since Dr. Bailin is also a tennis coach and player for most of his life, Dr. Polan noted something interesting about his retinal scan. After seeing several hundred of these scans, Dr. Polan observed that Dr. Bailin’s retina, and nearby tissues, resembled those of patient’s who are 40 years younger. This observation started a discussion of the potential effect of various sports on the health of the human retina which, others might find of interest. Doctor’s Bailin and Polan forwarded two hypotheses—1) that retinal health of those with sedentary lifestyles differ from those with a lifestyle in sports, and 2), that some sports contribute to the maintenance of the human retina more than others. With enough samples using retinal scan technology, these hypotheses would seem easily confirmable, but the rigorous study still needs to be done. Before all that data can be collected, we decided to discuss the three sports in which we have the most recreational and clinical experience; baseball, basketball, and tennis. American football and soccer will be left for another discussion. For visual/biomechanical comparison some assumptions are necessary. Participation in these sports will be divided into players who are actively working with the ball and those who are also on the field of play. Specifically, the player who is in the act of shooting, hitting, throwing, responding, or catching will be called an “Active Participant” (AP). Those players, teammates, or opponents not presently reacting to the position of the ball will be called a “Passive Participant” (PP). So, we assume the baseball pitcher and catcher must be considered AP’s and their other teammates in the field, or on the bench a PP for the vast majority of the contest. In contrast, tennis players must be considered AP’s at all times the ball is in play. Basketball players in the act of receiving, passing, or shooting are obviously an AP. More importantly, we consider those moving without the ball to also be actively using most of their eye skills for this discussion. All players on the floor are AP’s. If our hypotheses are correct, typical Optomap pictures of the retina should be significantly different between those of sedentary people and those of AP’s in the sports mentioned. Further, we suspect that these scans will also significantly vary between a typical AP and PP in each sport because of the differences in visual exercise/demand in their duration, frequency, and intensity of the visual skills required. In order to describe any possible difference of each sport on retinal health, the amount of actual physical/visual activity should be examined. Lay publications have compared actual activity between these sports over the time of the contest. Importantly, it not within the scope of this article to describe the effects of practice outside the contest, which is a possible confounding factor to be described in another essay. In baseball, the pitchers, catchers, and batters are obviously an AP. For purposes of this discussion, pitchers and catchers are an AP for at least half of a game’s actual minutes (48) or 24 minutes*, in this case. Though a high batting average comes with profound visual skills, while performing one of the most difficult tasks in all of sports, the average time elapsed for that visual exercise is a fraction of the 24 minutes a whole team is batting. That batting time per player is likely closer to a ninth of that 24 minutes or about 2.6 minutes per contest. Intense, but very brief, so we assume cannot add significant activity time. Therefore, we consider batters/fielders to be in the PP group. To review, pitcher/catchers get about 24 minutes of AP per game. We judge batters/hitters to be about 2.6 plus (~3.0) minutes of visual exercise per game. In tennis, a typical 3 set singles match has 26 minutes of actual play** in which both players must be considered an AP. In this case, both players should experience nearly 100% demand on their visual skills. For a description of those 24 skills see “Visual Skills of the Human Eye” at TennisDr.com. For basketball, we consider all 5 players to be an AP in terms of visual skills. For example, because of the close proximity of movement, we believe that during 48 minutes of play, visual skills of players not in the act of receiving, passing, and shooting are nearly as taxed as those who are. How much less? Certainly, the difference between the intensity of visual skills between offensive and defensive basketball players requires further research. For this article however, we will assume that the retinal activity of those who are handling the ball and those not handling the ball (including defenders) to be similar because of the constant demands for movement during play, similar to that of the non-hitter in tennis. Here is our comparison of the sports ranked 1-10, with 10 being most intense, for each of the 24 human eye skills. the duration of the competition may detract from its visual ranking. Only a large sample of Optomap scans of participants in each sport compared to those of sedentary individuals will answer the many questions forwarded here. “Ocular Dominance”, dictates that sports that involve aiming a device like a bow/arrow or rifle benefit from the open eye being the dominant eye. Not so in sports which require both eyes. With both eyes open, best performance is achieved when the dominant eye is closer to the target object. Humans have one dominant eye and tests reveal that they are seldom perfectly equal. In these sports, it is also a distinct advantage to have the eyes as close in dominance as possible so that strategies for execution of skills are not affected. For example, a basketball player with a strongly dominant eye will tend to want to shoot from areas of the floor in which that eye is closer to the basket. We think for that reason, more than just for habit, defenders want to make those players go in the other direction. Developmental optometry can help toward balancing the dominance of the eyes, or at least, show athletes how to better cope with that dominance to achieve better performance. We believe that baseball hitters that can switch batting boxes (“Switch Hitters”) will test closer in eye dominance that other batters who only use one box. Another example is a baseball batter who’s dominant eye is farther from the pitcher. Much can be done in SVT to help that hitter perform better in several areas of this chart that go beyond dominance of one eye. “Ocular Muscle Posture”, refers to Esophoria (seeing the world closer than reality) and Exophoria (seeing the world farther away than reality). Though most people have some Exophoria, we believe that tall basketball centers, with poor free throw percentage, will test more often as Esophoric. For example, many will recall the intentional fouling Shaquille O’Neal late in the game to make him shoot free throws called “Hack-A-Shaq”. O’Neal was famous for struggling with free throws, especially at the end of a game. We believe that since eye muscles, like skeletal muscles, fatigue toward the end of a contest, his Esophia became worse which resulted in the majority of his free throws hitting the front of the hoop. Today, we see a similar pattern with DeAndre Jordan of the LA Clippers and several other tall basketball centers. “Figure Ground”, is exemplified by a free throw shooter who has to focus on the rim despite distractions behind the backboard. This also has to do with an unfamiliar background such as a team playing on the road or a college team playing in a huge crowed arena versus their home gym. We believe much can be done with SVT to help coaches create customized lighting conditions for home games and help players accommodate a wider variety of venues. For example, Los Angeles Clippers games have much more light during play on the crowd but the Los Angeles Lakers keep the crowd lighting much darker. Visually, the former venue appears larger, and the latter venue appears smaller. Familiarity with larger, louder venues during the playoffs can have a significant effect on performance. Lack of familiarity with away venue lighting and sound conditions should be considered. On court brightness and light source type (eg LED, Halogen, etc) plays a role also. “Visualization”, refers to mentally rehearsing a motor skills program that ends successfully. In contrast, traditional coaching dictates that a very high number of physical repetitions is all that is necessary to create a successful motor skill. Today, before a downhill ski race you will see athlete’s heads swaying, eyes closed, picturing the successful run to come. A tennis player about to serve, also rehearses with a short mental movie, the motor pattern of a successful serve because it is the most complex shot in the sport. If the motor skill is complex, critical, and preceded by rest, elite athletes are becoming more aware of this process and its advantages. We believe most elite training regimens have been widely explored and that SVT is therefore the “Final Frontier” of athletic training. Since all visual skills are learned, SVT can improve them all. Posted in Baseball in General, Non-Baseball, Todd Boss, 7/17/2013. **"How Much Tennis Is Played During a Match? ", The Wall Street Journal, 9/8/13, Stu Woo.